Will the Senate Push John Brennan to Resign From the CIA? The Senate Intelligence Committee will not make its report on Bush-era "enhanced interrogation" programs available to the public until the Obama administration can explain why it heavily redacted the report on torture techniques. Committee Chairwoman Dianne Feinstein is unsatisfied with the amount of redacted material, saying the report will not be made public until the administration can explain the blackouts. "After further review of the redacted version of the executive summary, I have concluded the redactions eliminate or obscure key facts that support the report's findings and conclusions," the powerful California Democrat said in a statement. "Until these redactions are addressed to the committee's satisfaction, the report will not be made public." Last week, the White House returned the so-called "torture report" to the Intelligence Committee, but Feinstein said she would need to review the redactions before deciding whether to make the report public. Others senators blasted the administration for attempting to conceal embarrassing details contained in the panel's 500-page executive summary of the larger study. "Redactions are supposed to remove names or anything that could compromise sources and methods, not to undermine the source material so that it is impossible to understand," said Sen. Martin Heinrich, a New Mexico Democrat, in a statement. "Try reading a novel with 15 percent of the words blacked out. It can't be done properly." In response to the backlash, Director of National Intelligence James Clapper justified the deletions as necessary and noted that half of them were made in the document's footnotes. 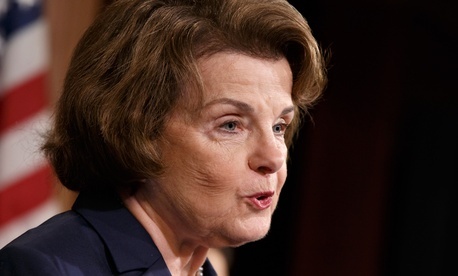 But Feinstein is demanding more answers and is unwilling to release the report as it currently stands. "I am sending a letter today to the president laying out a series of changes to the redactions that we believe are necessary prior to public release," Feinstein said. "The White House and the intelligence community have committed to working through these changes in good faith. This process will take some time, and the report will not be released until I am satisfied that all redactions are appropriate." She continued: "The bottom line is that the United States must never again make the mistakes documented in this report. I believe the best way to accomplish that is to make public our thorough documentary history of the CIA's program. That is why I believe taking our time and getting it right is so important, and I will not rush this process." Last week, the CIA admitted it improperly accessed computers used by Senate Intelligence staffers to investigate the spy agency's detention, rendition, and interrogation practices deployed during George W. Bush's presidency. CIA Director John Brennan determined that his employees "acted in a manner inconsistent with the common understanding" brokered between his agency and its Senate overseers. At least three senators, including Heinrich, have asked for Brennan to step down.